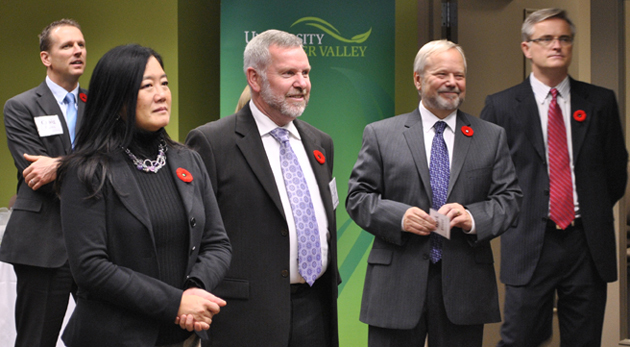 BC Advanced Education Minister Naomi Yamamoto visited UFV on Tues, Nov 8. She stared out at the new Chilliwack campus at the Canada Education Park, where she and other dignitaries got a sneak peek at the new building currently under construction/renovation. After lunch with some students at the Trades and Technology Centre on the Ed Park campus, she then traveled to the Abbotsford campus, where she met with more students.